From rocks to coins, pacifiers and toys, kids like to taste everyday objects. But some of these items can be serious choking hazards – take circular batteries. The 20mm lithium batteries are described as a common culprit in a study published in Pediatrics. The research published in the journal this week reported a 6.7-fold increase in the percentage of severe outcomes caused by battery ingestion in the last 24 years. The severity of the battery-related incidents has worsened, causing injuries including the destruction of the esophagus, perforation of the aorta and vocal cord paralysis. The batteries look like buttons somewhere between the size of a nickel and a penny. Or perhaps they even look like candy to a small child, but they pack a punch. The batteries are large enough to get lodged and obstruct breathing. Once swallowed, the stuck battery can create a current, burning through the child’s esophagus, airway or even the aorta, said Dr. Toby Litovitz, the executive medical director of the National Poison Center. Parents should childproof everyday electronics such as calculators, flashlights, cameras and talking books by reinforcing the battery compartment with tape, she advised. Children can easily snap open the latches to get to the batteries. There's a really simple solution for this problem. Just ban batteries. Makes it easier on parents. This way they don't have to do anything. Please realize that even old or "dead" batteries retain enough of a charge to cause life threatening ulceration to the esophagus. As such they are still very dangerous and need to be disposed of quickly and carefully. Childproof sounds good, but easier said than done. There was nothing more interesting and tempting to my little guy than something taped over. Most "childproof" ideas and devices you can find for anything did nothing but attract attention to the very things we were trying to get the child away from. Uncovered plugs: uninteresting. Covered plugs: now that is something to work on, to take all those caps out! And it went on just like that. Better get safely built things (screwed in battery compartments rather than just latches, etc.) and supervise the child. And keep the unsafe things out of reach. Why would a baby even have access to electronic devices without adult supervision? want to know why there is a six-fold increase? it's because 24 years ago kids were choking on AA's. i'm willing to bet if you look at choking statistics for ALL batteries over this time period, it would be a flat line. Ok, so here is another issue the liberals will want the government to fix. Rather than being a parent and supervising and taking care of the child they bring into the world. Next we will have too remove all the rocks in the playground for them. NO. My children grew up in a home FULL of batteries and related gizmos without a problem. From the beginning they were first shown the battery and them told it was for this or that gizmo and not to put in the mouth......No problem ever. Moms these days are getting more and more protective. Children like most mammals meed to reach out and experience the world around them.....within reason of course. Tim, what are you talking about? Nowhere in this article does it state that liberals want the government to fix this. It's just providing people, especially parents, with important information they may find helpful. That way they are even better able to, as you say, supervise and take care of their children. I don't see anything wrong with that. I hope you don't, either. I am continually amazed that as a species, we have made it as far as we have given all of these horrific threats! How did any of us make it through childhood? Whatever happened to COMMON SENSE?? The batteries we are talking about can also create a charge from dropped in even a mild acid like saliva. The two "plates" of the battery are also the outside battery case, with both being 100% exposed. The stronger the acid the higher the current will be. So a stone dead battery will "recharge" so to speak. With older batteries like "AA" and "AAA" this is not the case since the opposite plate is not 100% exposed like these "button" batteries. Ideally these should be recycled, many retailers and local governments take used batteries of all types including these small ones. How did any of us make it through childhood? Whatever happened to COMMON SENSE?? It became an endangered species long ago. I would like to see the study for parental intelligence and chocking hazards. Stupidity is a hazard. If this study has any relevance, then Legos are tiny loaded handguns for kids. It is amazing that anyone is alive. What ever happened to keeping things out of the reach of children? Basic parenting 101. Please no more costly ridiculous laws that force us all to pay ten times what things are worth in a vain attempts to protect idiots from themselves. There is no cure for stupid. This is why we really need tort reform. We watched a John Wayne movie, I think it was the Leathernecks, and the movie character gave his son a three foot sword when he came back from the war. The son was portrayed to be probably about eight. I am all for protecting kids, but are we going to far in attempting to bubbleize (word?) them against all harm? Simple solution. Simply superglue the battery compartment covers on, so they can't ever be removed! What needs to be done is that Parents need to be responsible for their children. Yep that means you don't leave these things laying around. You actually have to clean up after yourself. Don't go running to the Government everytime little baby Joey nicks his finger or swallows something that you left laying around and then didn't feel you needed to supervise what Joey was doing. Parents – it's time to grow up. Mr. Bishop, I think I love you. How about something as simple as actually paying attention to your child/children and not letting them get their hands on things that don't belong in their mouths. I raised 3 children, the youngest being 25 now, and I paid attention to what they were doing – and they actually survived to grow up! Amazing isn't it, how simple the answer to some really major problems can be? hahaha! Tim – "Ok, so here is another issue the liberals will want the government to fix. " I think the word liberal is a bit silly here. I am a liberal and I watch my child myself. I do not rely on the government to think for me. Just because we believe two men could parent together does not equate to liberals being complacent. Conservatives seem to enjoy a false state of superiority maybe? Batteries hazardous to children? How about preoccupied parents hazardous to children! During the period of growth that a child has not attained the wisdom not to put everything in their mouth the parents need to keep CONSTANT vigilance on that child. Too many parents let babies and toddlers have too much freedom, especially these days it seems. If you child is prone to putting things in their mouth then don't give them the chance, be a parent. I think it is wise to understand the batteries pose a greater risk beyond choking on a lego and I appreciate that information. Didn't know that it could create a current once swallowed and cause damage. This isn't about common sense. These batteries easily fall out of devices and are easy to pick up and swallow. Unlike an AA battery, these are small and pill shaped so they go down easily and in less than 1 second. Because of the shape the plates of the opposing poles make contact easily with the esophageal mucosa and can easily burn. Another Darwin award for oblivious parents. We should not have to do anything about this. Never leaving a baby or small child unattended is something parents sign up for at conception. If they are incompetent, let Darwin take over and improve the species. We are overpopulated. It always amazes me when people are so quick to crucify parents, handing out Darwin Awards or saying they do not pay enough attention to their children. My good friend's daughter got ahold of a battery that had fallen in between the cushion of the car – it was not a matter of her not paying attention to her daughter, and certainly not the one year old fault for playing. She never cried or acted otherwise out of the ordinary until she coughed up blood, five or six hours later. She spent a month, including her second birthday in the hospital. A year later, the girl is unable to speak or breathe without a trache. The purpose of this article is to inform other parents so that this does not have to be repeated. It is not a platform for making uneducated comments. Just take batteries away from little kids. Or better yet, don't let them have the devices in the first place.. ie.. cell phones ect. We can't ban everything. People are jumping to so many conclusions and being hateful just for the sake of it, it seems. Where did the article state anything about making new laws or liberals wanting to change things? That's a stupid argument to make, and just shows your ignorance and hatred of all things different from you. Second- just b/c YOU'RE children didn't swallow a battery that doesn't mean no child never will, OR that you child never did anything else equally as boneheaded. Children will be children, like it or not. We can't bubble wrap the world, but we CAN make it safer. I bet the vast majority of people who read this article would have never known otherwise that these batteries can conduct current b/c of saliva. Perhaps someone who would have otherwise thought "oh, it'll pass in a few days" will now know that it's worth a trip to the ER. The amount of anger and hostility in simple online posts is really shocking to me, though. Ya it is right. 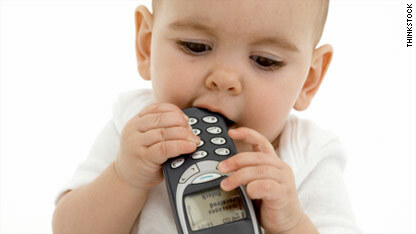 todays In this world Battery ingestion increase the risk for childrens. so as we advice to childrens and protect them form battery. do not ignore this thing.because In May 24, 2010 - New research shows there has been a significant increase in both button and cylindrical battery ingestions, particularly among children, and that the batteries that are lodged in the esophagus must be removed within two hours to prevent serious injuries, including tissue tears, burning, and internal bleeding.The amount of anger and hostility in simple online posts is really shocking to me, though.I think it is wise to understand the batteries pose a greater risk beyond choking on a lego and I appreciate that information. Didn't know that it could create a current once swallowed and cause damage. lithium batteries are still the lightest battery that we have but it is quite expensive;:. I needed to put you that very small note in order to say thank you again for these great ideas you've contributed in this case. It has been certainly shockingly open-handed with people like you to give unhampered all numerous people might have marketed for an e book to generate some cash for their own end, mostly seeing that you could possibly have done it in the event you decided. The tips also acted to be the fantastic way to comprehend other people have a similar eagerness similar to my own to figure out great deal more on the topic of this issue. I'm sure there are some more fun times up front for individuals who examine your site.